Ahead of the 2019 IPL, the Mumbai Indians captain confirmed that he will be opening the batting this season taking the World Cup into factor as well as his success in the opening slot for the national team. "I feel he (Rohit) should open, without a doubt," Sangakkara said at the launch of Star Sports Select Dugout 2.0 in Mumbai. "Rohit Sharma should have opened last year also and I am very happy that he is opening this year, that gives Mumbai Indians the best opportunity of scoring hundreds and winning games." Sangakkara's point is vindicated through numbers which show that Rohit has had huge success opening the batting not just for India but also in the IPL. For India, he averages 48.62 in limited overs internationals scoring 24 centuries and 41 fifties. In the IPL, he's had his best average while opening the batting — 40.87 from 19 innings compared to 25.36 at No 3, 32.77 at No 4 and 33.12 at No 5. And when we take the match-winning factor into account, Rohit averages 44.71 in the matches that Mumbai Indians have won, the highest among Mumbai players who have scored at least 500 runs in MI wins. Last season, the Mumbai batsman opened the batting in the first two matches but following two failures, he dropped down the order and juggled between No 3, 4 and 5. Ultimately, he suffered an indifferent season where he could manage just 286 runs at an average of 23.83 with just two fifties. Somewhere down the line, it hurt the team. Anil Kumble, who had been Mumbai Indians' chief mentor from 2013 to 2015, concurred with Sangakkara's views and was of the opinion that Rohit shouldn't change his mind again midway through the season and change his batting position. 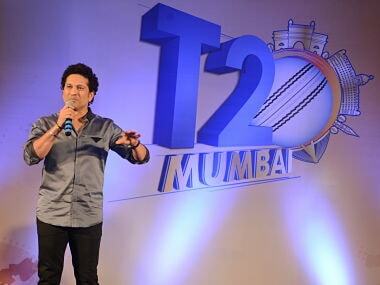 "Mumbai has always had this issue with Rohit (opening). When I was there with Mumbai (as support staff), he batted at four, there was an option (for him) to open the batting. But what Mumbai Indians and Rohit need to decide is if he decides to open, he needs to open for the rest of the tournament," Kumble, also an expert for Star Sports Select Dugout said at the conference. "Last year, he said the same thing, he wanted to open the innings, didn't go well in the first couple of games and then he dropped down, and then again went and opened the batting and again dropped down. So if he decides to open, he should stay at that position and then play through," added Kumble. Former New Zealand all-rounder Scott Styris too was in favour of Rohit opening the innings and said that the move will only help India at the World Cup. "Mumbai made an error when they released Jos Buttler last year. And therefore Rohit was up the top to generate that strike rate. And then he also felt that there was a hole in the middle order so he tried to plug that gap and he tried to do so many things that he went away from what his natural strengths and skills. And it didn't matter to me whether he batted at 4 or opened the batting. As long as he committed to it a 100 percent, right this is the role I am going to play in this campaign," said Styris. 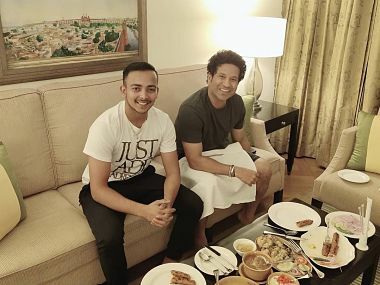 "In this case, he has said, he is going to open and that is good for India, we know that for the World Cup (which is coming ahead). He is such a champion there and I think we will see his skills, he is so good and he stands out anyway in this IPL." The presence of the World Cup has changed a lot of dynamics for this season. Foreign players might not play the full edition given that they have to return to their respective countries for preparations. West Indies and New Zealand players might be available for the full tournament though. But the foreign player departures in the second half might prove to be a seminal point in the tournament and that is why according to Sangakkara and Kumble, a strong start in the tournament is crucial in this edition. "At the start of the IPL, generally the teams are looking to get some momentum upfront," Kumble said. "This time there are teams that will lose players before the World Cup and towards the second half or the last part of the IPL. So you want to get a good start. Mumbai really look good throughout. They have the Indian players, the squad will remain more or less the same but they haven't had good starts in the IPL before. So they will be looking for a good start. 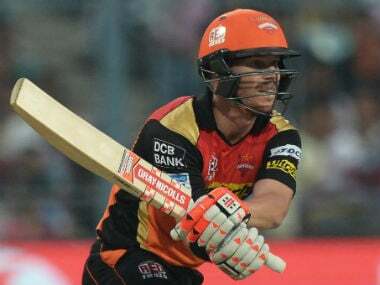 Any IPL team at this time of the IPL before the start would be looking to start well, trying to set your playing eleven so that you don't have to worry about the balance of the team." "Rajasthan Royals look a bit vulnerable to a large extent," Sangakkara said. "It's just a case of making sure that you plan for the inevitable and make sure that you start off and hit the ground running for those teams to really concentrate on attacking in the first quarter to half of the IPL so you have enough wins in the bag by the time you have to make the crunch decisions."